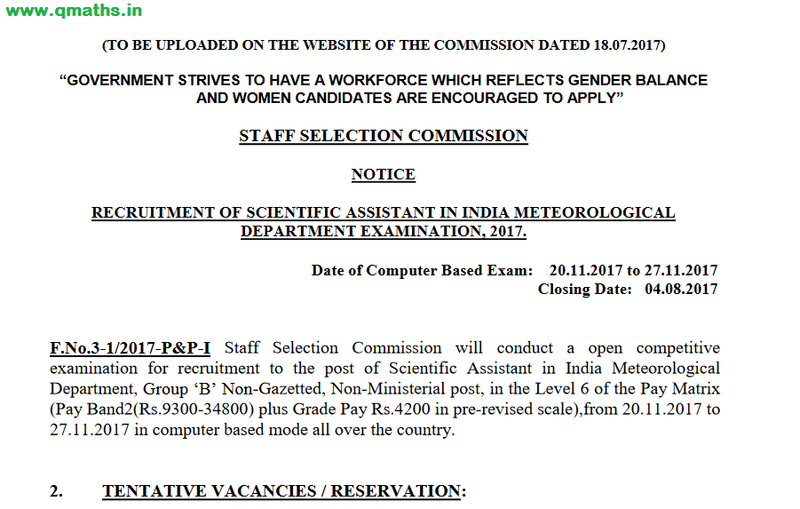 SSC (Staff Selection Commission) has issued a Notification regarding Recruitment of Scientific Assistant (Meteorological Department) for 1102 vacancies. The Highlights and notification PDF can be downloaded from the link provided below. 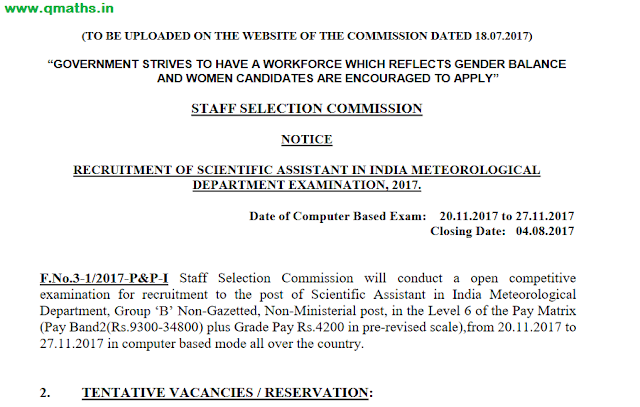 F.No.3-1/2017-P&P-I Staff Selection Commission will conduct a open competitive examination for recruitment to the post of Scientific Assistant in India Meteorological Department, Group „B‟ Non-Gazetted, Non-Ministerial post, in the Level 6 of the Pay Matrix (Pay Band2(Rs.9300-34800) plus Grade Pay Rs.4200 in pre-revised scale),from 20.11.2017 to 27.11.2017 in computer based mode all over the country. NOTE-I The qualifying Degree or diploma referred above should be in First Class (60% marks) or 6.75 CGPA on a 10 point scale. 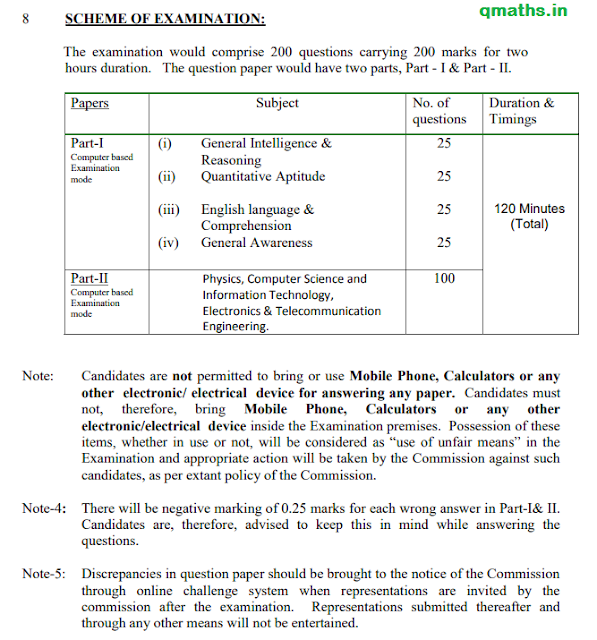 NOTE-II The qualifying Degree or Diploma referred above must be of three (3) years duration after (10+2) examination. 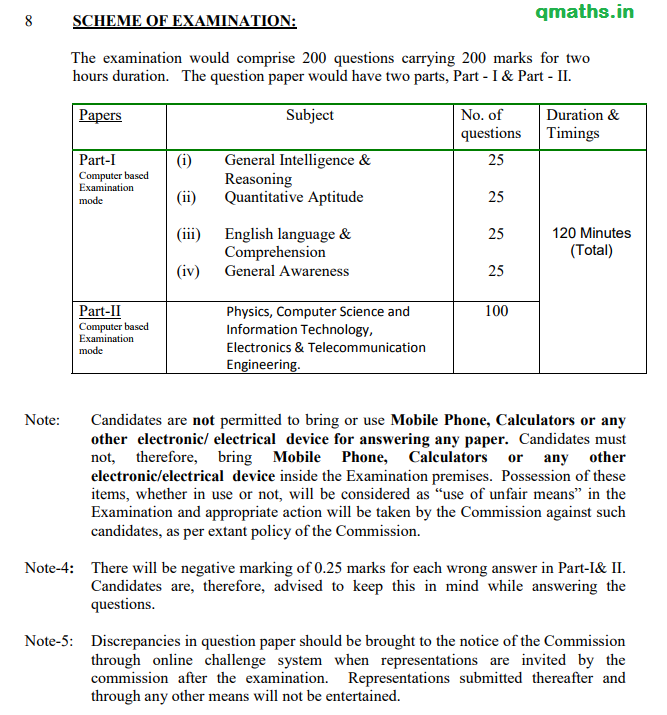 NOTE-III The applicant must have passed 10+2 Examination from a Recognized Board or equivalent in Science with Physics and Mathematics as core subjects. 6) Candidate may note that only online applications will be accepted at www.ssconline.nic.in.